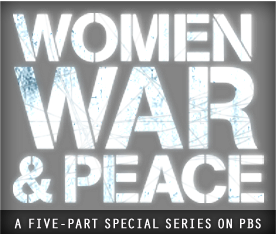 Tonight will air the 1st episodes of a new series, Women, War & Peace, on many Public Broadcasting Service television stations. According to the website, the 5 parts will run from now through early November. It will look at a number of conflicts, including in Bosnia, Liberia, Afghanistan, and Colombia. Among the persons featured (along with various Hollywood types) is Leymah Gbowee, who, as posted, was a co-winner last week of the 2011 Nobel Peace Prize. Check local listings for times in your area. The DVD is available here. Can only hope this series is well done -- though a post dated October 3 on the home page of the series' rather confusing website gives pause. The title of the post? 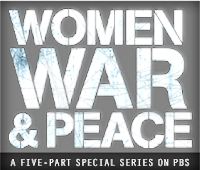 "What's Your Favorite Book on Women in War?" As if being caught up in armed conflict were some kind of literary opportunity. PBS ought to know, and do, better.